Stay on top of everything life throws your way! 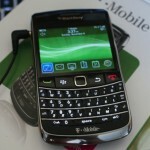 The Blackberry 9700 is now available in the US and Canada. 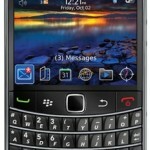 The Blackberry 9700 is codenamed as the Onyx and is also called as the Bold 2. It is a mobile phone data device known as the smartphone and is developed by the Research In Motion. The Blackberry Bold 9700 smartphone has a high resolution screen that is large and displays over 65000 colors, thus, creating a vivid viewing experience for all your photos, videos, files and websites. It provides track-pad navigation which is similar to a laptop. You just have to glide your finger over the track-pad to scroll through menus and icons. A slight press and click lets you select an item to navigate where you want to go. It gives extensive features in multimedia. You can enjoy music, photos and documents in great color and sound. It allows you to sync music playlists or data files from your Mac or PC to view documents or listen to songs while on the move. 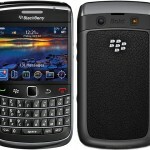 You can also share and enhance your multimedia with the help of Blackberry Authentic Accessories. It has a 256MB of on-board flash memory which can be enhanced by easily inserting a micro-SD card. Hence, you can create extra room for emails, messages, applications, multimedia files, documents and all the other important things that you would require with the help of this expandable memory.